When planning out dinner menus I find it challenging to come up with Mexican side dishes beyond the typical beans and rice. And besides, when I am watching my carbs beans and rice just don’t work for me. I stumbled upon a recipe for Mexican grilled corn on Pinterest a few months back and have been meaning to try it. Boy am I happy I did! It was delicious! And by delicious I mean, the best corn on the cob I have ever eaten. While I normally just cover my ear of corn with butter and salt this was a welcomed change. The sour cream gave the corn a nice creaminess and the flavors of the smoky chili powder and zest of lime really fired up my taste buds. Sour cream has less than a third of the calories that butter does, so this corn not only tasted awesome, but it is also way healthy! Low calorie, low carb, and tastes amazing! Win, win, and win! Note: If you want to try this recipe but don’t feel like firing up the grill, you can boil the corn. To boil corn, place the shucked corncobs in a large pot of boiling water and cover it. Cook for 4–6 minutes. Remove the corn from the water with tongs and continue seasoning by following the last 3 steps. Cut of both ends of the corn so that the cob is exposed on one end and most of the stalk cut gone from the other, leaving the husk on. Fill your sink or a large pot with water. While the corn is soaking, preheat the grille to 350º. Remove the corn from the water and shake off most of the moisture. Cook the corn over direct heat for 15–20 minutes, making sure to turn every 5 minutes. Remove the corn from the grille. 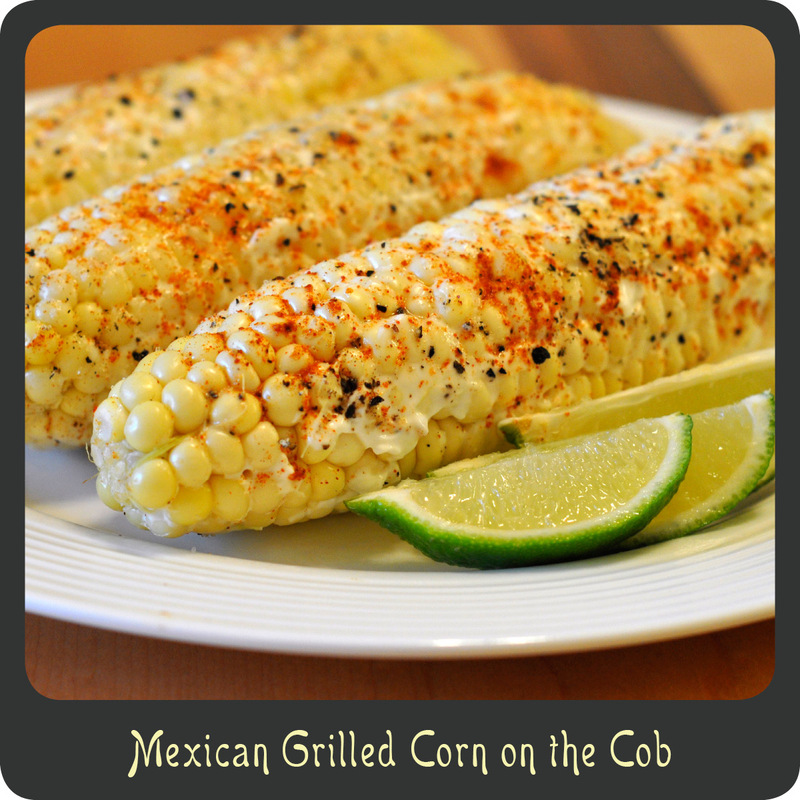 Using your fingers or a butter knife spread a thin layer of sour cream all over the entire cob. Sprinkle the corncob with the chili powder, salt, and pepper. Spritz with fresh squeezed limejuice. Recipe adapted from Ezra Pound Cake.